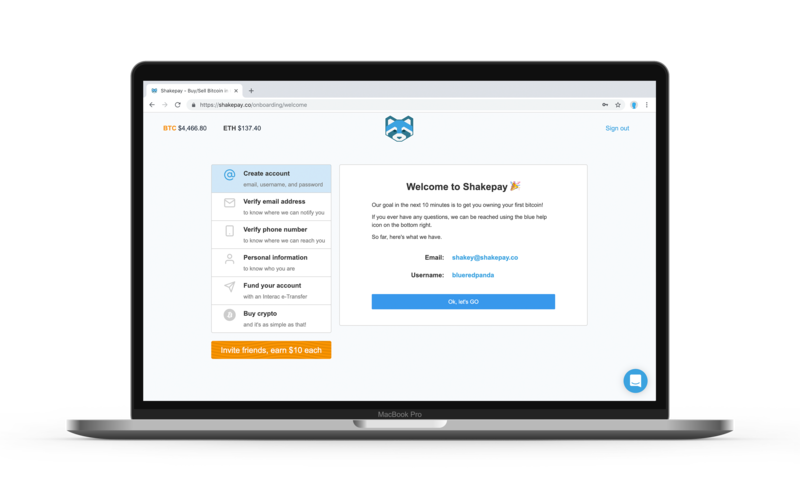 Want to create your Shakepay account right on our website? Click here https://www.shakepay.co/signup and follow these quick steps. 1. Click on the “Sign-up” link (be sure to not confuse it with the sign-in link). 2. Fill in the information you’d like to use for your account, including an awesome username. 4. Once you’ve input the information, we’ll send you a quick email to verify your email address. 5. Once we have your email address confirmed, we’ll also look to confirm your phone number. Note: Shakepay can only accept valid Canadian mobile phone numbers, so we’ll be sending you a quick SMS to verify your number. 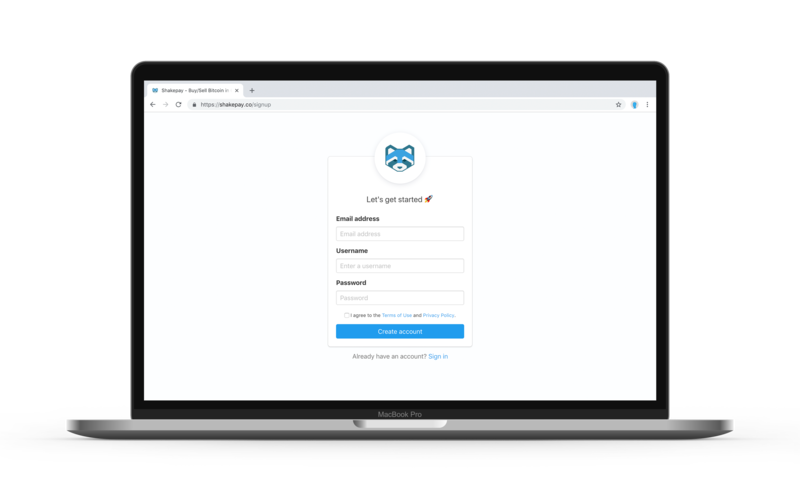 You’ll then fill out the rest of the information, ensuring it’s as accurate as possible so our automated third party service can try to get your account verified. If the automated system wasn’t able to get your account verified, you can follow these quick steps so we can verify your account for you. Now your account has been created, you’re ready to use the app.